This salad is delicious—bursting with bold, briny flavors—but it is definitely salty. I love it served over undressed salad greens with grilled bread on the side. 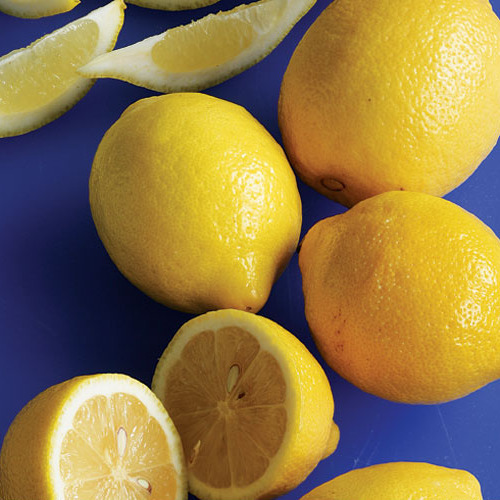 Rinse one of the preserved lemons well, cut it into quarters, and slice the quarters crosswise into thin slices (you need about 1/2 cup—cut up another lemon if needed). Remove any seeds. Discard the stem from the chile and then cut it in half lengthwise and remove the seeds. Slice the chile halves thinly crosswise. 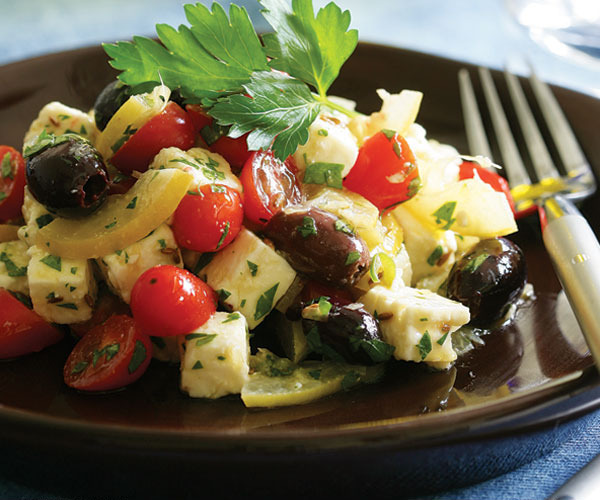 Put the sliced preserved lemon, chile, feta, tomatoes, and olives in a bowl. Pour in the olive oil and sprinkle with the cumin seeds and parsley. Toss gently to mix and then serve. This was wonderful. I made preserved lemons and couple of weeks ago and needed a salad for a dinner party last night. Tried this one. Forgot the cumin in the excitement of moment...but it was still very yummy. It's a 5 star! !